← Ginkgo, Orange and Green Tea Buckwheat Waffles & Indigo Herbs Giveaway! I am so excited to share this post with you today! It has been in the pipeline for so long, while I compiled some of the most incredible products and brands out there, punishingly trialled them all to bring you the highlights of the best on the market right here today. 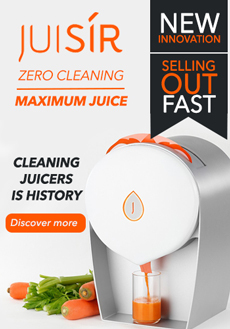 Just as I did, you will discover incredible products, inspiring brands and items of pure genius that you will just have to add to your collection and daily regime. Everything from the classic purest coconut oil to the most luscious lip balm and even luxurious exfoliating scrubs will be featured. So get your credit cards ready girls, you are gonna LOVE this line up. I am only featuring products which have seriously inspired me. From opening a tin of Fairtrade, Organic coconut oil that’s scented with lavender, rose or banana – to reading how these brands are dedicated to bettering the lives of others. Sure we can go grab a ‘natural’, ‘vegan’, ‘cruelty free’, ‘organic’ product in most places these days. But there are only a handful of brands behind these products who truly care about every aspect of producing that item. We so often buy without thinking of how a product got to that shelf and ultimately into our homes and onto our bodies. How many products are vegan yet still contain synthetic chemicals, fragrances and dyes? It’s getting more widely understood that the vegan diet does not automatically equate to a healthy diet, but what about the products we put on our skin? Our hair? Our lips? Clean our homes with and wash our clothes with? Many of you long time Bunny Kitcheners will know that I have been a lover of homemade, natural cleaning and personal care products for years, so this is nothing new. But when my health spiralled out of control some 18+ months ago, I found myself having to reach for products on shelves a lot of the time as I simply did not have the strength, energy or ability to make my own and once what I had left was gone, that was it. Before this time, I did still use a few commercial products which I trusted and had spent much time trialling before settling for them. But when I found even vegan and cruelty free products to be full of so many chemicals and so many ingredients, I felt ashamed to put these products on my body and use them in my home. When you make your own or use good, natural products, you realise all the more how unnecessary these ingredients are. If you put cream onto your skin, that cream goes into your skin, chemicals and all. The product I suffered with the most was face and body wash. I could feel the moisture being stripped from my skin, leaving it feeling tight and itchy. I would have visions of washing my skin with turpentine sometimes. I’ve never considered myself to have sensitive skin, but my skin was definitely sensitive to many of these products. Washing my hair was the same, it became like straw and I put off washing it as much as I could. I would use half a bottle of conditioner just to get a brush through it, to my husbands dismay! It got so dry that even trusty coconut oil treatments didn’t give it the instant moisture and shine boost that I would usually take for granted after just one application. It was almost like the benefit of the coconut oil was washed away every time I washed my hair sending the long process of recovery back to its origins at every wash. Ultimately it was a mixture of coconut oil and bottles of kombucha that had been sitting in my fridge for months that saved my hair. Coconut oil became my saviour. It’s versatility offered solutions to daily products without having to use chemicals.. Toothpaste, moisturiser, lip balm, hair conditioner, face scrub, body exfoliator, skin soother for burns and cuts and personally for me, it helped my wounds heal and my scars soften. It has helped the horrid mass of stretch marks that have infested my tummy from 2 major surgeries, immense swelling and subsequent weight loss. It was the only product that sat on my bedside during every hospital stay. It may sound cheesy, but it’s just the truth! These products are the products I wish I’d known of and had access to at this time. Now I know where they are, I can’t get enough. They actually excite me. Read on for info on my new beauty heroes and to enter TWO GIVEAWAYS to win a set of gorgeous lip balms, coconut oil fusions and exclusive 50% and 25% off discount codes at Genni Oils! In their words: “Every Ellovi product is made with six wildly harvested ingredients so pure you can eat them. Ellovi butters soak in deep and keep your skin intensely hydrated and nourished for days. Ellovi is a Californian based, handmade beauty product company. They specialise in making all purpose butters for the entire body using just 6 incredibly nourishing ingredients. The unique blends of macadamia nut, coconut, marula nut, hemp seed, shea, mango butter and cocoa butter are carefully crafted to give rich, health-giving benefits to the skin and deep, long lasting moisturisation. The butters are intensely hydrating and because they are made from only the purest, plant ingredients with absolutely no additional chemicals or fillers, they are perfect for all skin types and won’t irritate the skin. My husband suffers from eczema flare ups and this butter soothed it and calmed the itch. Many of the eczema creams on the market either do not work at all or the cream actually stings when he puts it on. Eczema craves moisture as the natural skin barrier, which would normally trap moisture in the skin, doesn’t work well. This butter not only soothes and moisturises dry, itchy and inflamed skin, but it also works to seal moisture in the skin, for longer lasting relief. It is especially beneficial when applied to damp skin after bathing. The butters can be used as a massage oil, an all over body moisturiser, a facial moisturiser (I use just a tiny amount in the morning and more at night for deeper hydration and repair), natural sunscreen (SPF 5 – 10), makeup remover and even a hair treatment. A little goes a long way so one jar will last a long time. It comes in five delectable scents – Original, Vanilla, Mint Chocolate, Blossom and Key Lime. Ellovi also produce handy Lip Butters based on sunflower oil and blends of rich butters. It comes in a sleek oval tube, so you don’t have to carry your big jar around with you for on the go lip hydration. It comes in the same delicious combinations as the body butters but there is also a tinted lip butter made using completely natural and plant based alkanet root to colour the balm – so pure you can safely eat it. The Butters cost $26 for a 3.5 ounce glass jar. The Lip butters are $5 or you can buy a collection of 4 for $18. The best news is that they ship worldwide and international shipping is just $9 and Free within the U.S! Enter below to win 3 lip butters….original, tinted, and vanilla…. In their words: Since we wanted to give back to the society in our own way and we believe in encouraging small scale producers in the developing countries; we made sure that our virgin coconut oil was Fairtrade certified. Good news for those following a vegan lifestyle; our coconut oil has also been certified by the Vegan Society. Our virgin, unrefined and organic coconut oil is extracted from coconuts grown in the island of Sri Lanka in the Indian Ocean. The oil exudes a pleasant aroma and adds a unique flavor to the food in which it is prepared. Additionally, it can also be extensively used in skin and body care. Coconut oil is THE most versatile and pure product and is essential in my house. It is simply wonderful. If it were human, it would be a hard working housewife who can do the laundry, make the beds, clean the house, make a wonderful dinner and so much more. There’s so much coconut oil on the market these days. In the past year or two it’s even become available on mainstream supermarket shelves – something I got giddy about when I first spotted it. In 2014 I visited friends in the US and was amazed at the coconut oil cooking spray in Wholefoods and nearly brought some home. Now it’s available in the supermarkets, in not one but two varieties. One unsurprisingly by a health food brand and coconut oil manufacturer, but also one by a mainstream oil brand. Coconut oil has taken the world by storm and it’s everywhere. How do you know which one to buy? Is there any difference between brands? Knowing which one to buy I am going to help you with and YES there are many differences between brands both relating to the product quality and the ethics of manufacture. For a start, there are two forms of coconut oil available – refined and unrefined. Refined has no coconut odour or taste at all whereas unrefined smells and tastes strongly of coconut. Unrefined of course is the healthiest form having been minimally processed and having not had any of it’s goodness removed. However, refined, odourless coconut oil is preferred by some for use where the flavour of coconut is not desired and for high heat cooking as it has a higher smoke point. Refined coconut oil is made from dried coconut meat or copra. If using a refined coconut oil, just be sure to read the label and make sure the oil hasn’t been chemically bleached or contains chemicals. Coconut butter is not the same as coconut oil. It is dried coconut flesh blended so that the oils release and a thick butter is formed containing the entire coconut, just the same as peanut butter. Coconut oil is purely the oil from the coconut and contains no flesh. They generally cannot be used interchangeably in cooking such as baking where precise scientific processes occur. It is the same as ‘creamed coconut’ sold in the UK with the curry ingredients in the supermarkets and can be mixed with hot water to make coconut milk. You can make your own really easily and save on buying expensive jars, find out how here. Organic Field coconut oil is special because it is certified Fairtrade, it comes in an environmentally friendly and chemical free glass jar, it is organic, unrefined and is cold-pressed from fresh coconuts. The aroma and flavour are superior to many I have tried and those on par in this respect do not carry all the certifications or the affordable price tag of Organic Field. Many coconut oils on the market may boast being organic, virgin, cold-pressed and best quality but behind the scenes there may well be unfair treatment of the people who are on the front lines of production, those who are harvesting the coconuts and are paid low, unethical wages and may not be able to feed their families while they produce an expensive jar of coconut oil for the western world. Organic Field supports farmers and growers in Sri Lanka ensuring fairer trading conditions and opportunities for producers to invest in their businesses and communities for a sustainable future. Despite all the desirable benefits and certifications of this oil, it is still affordable and comes in a HUGE 1 litre jar that will be sure to last for ages even if you are a vigorous user like me. It’s available on Amazon UK for £13.59. In their words: We offer cosmetic and hygiene products made of fairly traded and natural ingredients to you. Worldwide FAIR SQUARED products were one of the first to be labelled with the well-known Fairtrade logo. This could be done even better, demanded our customers. So the new FAIR SQUARED products in addition carry the NATRUE logo as well as the logo of the Vegan Society. This combination of fairly traded, natural cosmetic certified and vegan ingredients is desired by different consumer groups who finally, can be satisfied now. FAIR SQUARED is an alternative trade organisation. We have fair dealings with producers from the world`s poorest countries. This is how we can offer our customers a high quality alternative to conventional produced products. It was a long way to develop these unique formulations- source high quality agents from the entire world and produce the whole range in Germany meeting the strict requirements of the label initiatives. German based Fair Squared has an impressive résumé. Their About page on their website alone is enough to instil deep inspiration and education. Their products quite literally tick all the boxes. The products are luxurious with amazing scents. The Apricot Shampoo made my hair, literally, squeaky clean and smell fresh and summery. The Vanilla Shower Gel is pure pamper perfection, perfect in a hot steaming shower to infuse with sweet vanilla scent. I’ve always had a weakness for olive products – from creams to deodorant so I was thrilled to find Fair Squared use Fairtrade olive oil from Palestine in most of their products such as Coffee Shampoo, Apricot Shaving Oil for Women and purely Olive Hand Cream and Hand Soap. The Olive Hand Soap is perfect for sensitive skin and for people, like me, who wash their hands very often which causes dry skin. I could feel the hydration instead of stripping the moisture from my skin. Finish with Olive Hand Cream for a truly nourishing treat for your precious hands. The Almond Hand Soap is extra nourishing with an almond oil and olive oil blend. The thing about Fair Squared is that it is dangerously addictive and exciting. The range of products is mesmerising and includes products I have dreamed of finding in such pure, natural, vegan and ethical form and now I have. Products that I just must have. They have everything from the basics, creams, shower gels and hand soap; to sun protection, female shaving products, intimate wash, foot freshener and leg balm. These are the kind of products one usually comes across in a beauty catalogue and dreams of. My wishlist is ever growing and I can’t wait to delve into it. Fair Squared are proudly Fairtrade, Vegan Society and Natrue certified with 100% organic, fairly traded and cruelty free ingredients used to manufacture their carefully thought out products. They make it clear that beyond catering to the the concern of buying Fairtrade, they also want to make great quality, beautifully designed products to make you feel good, protect you and pamper you. Very reasonably priced considering it’s accolades and the quality of the product. For example 100ml hand cream is priced around £7 and 250ml hand soap and shower gels around £8, depending on stockist. Fair Squared products are available online and in a range of stores. Find stockists here. The Fair2Me webstore ships to all EU countries. Pravera stocks almost the full range and offers free UK shipping on orders over £10. beauty range its trademark silkiness. Our pure natural ingredients include Olive Oil, Organic Shea Butter, Dead Sea Salts and pure Essential Oils. All products are individually handmade in small batches. We are committed to making pure quality products so there are no parabens, no sulphates, no petrochemicals, no palm oil, no artificial colours or fragrances. All our packaging is eco-friendly and recyclable. The paper is handmade from recycled cotton and hand screen printed in a Fair Trade unit in India. We have chosen to use PET plastic bottles and jars, as they are fully recyclable and are safer for use in the bathroom. Honeystreet Handmade offers beautifully packaged, sumptuous products. The packaging is just stunning and these products are a piece of art to accessorise your bath or bed room as much as to give you indulgent satisfaction. From Bath Bursts offering intense nourishment to give you soft and silky skin to dreamily scented bath and massage oils and all in between, this is truly one gratifying brand set to make you glitter with relaxation. There is also a dedicated cooks’ and gardeners’ range, designed specially for the needs of hard working hands which is just fabulous. The chef’s range includes citrus essential oils to freshen hands exposed to strong odours. The gardening range includes a moisturising herbal massage oil to relieve the aches and pains of gardening. There is such care and thought in these products. The Warming Bath Oil is a spicy blend of pure oils which gently warms and moisturises your skin. It is especially good for any aches or muscular pains. In fact pain in general is thought to be eased by spice. The warm sensation is a novel and exciting way to bathe and will become addictive. The Relaxing Massage Oil is specially blended to nourish your skin and calm your mind. The gentle, lulling scent will lure you to a sedative state of peace. If you’re not lucky enough to have someone to massage you, massage this into your own skin, especially before bed time and it’s soothing perfume will whisk you away, you won’t even realise someone isn’t doing it for you. You will wake up with tantalizing, soft, scented skin. The Barber Range includes an oil, soap and balm, perfect for male grooming. More extravagant than the barber but in your own home and in your own hands. The soap has a wonderful lather and keeps beards and skin soft and lustrous. Even men without beards, close shaven or with stubble will benefit from this soap since moisturisation is not only good for the skin and facial hair, but aids in preventing ingrown hairs. The lather on this soap is so rich and creamy, it doubles as a wonderful shaving cream also. Scented with deep, masculine Orange Peel Oil, Rosemary Oil and Cedarwood Oil; this is truly male shower luxury. Follow with the nourishing Barber Oil to lock in moisture and keep facial hair and skin supple, fragrant and radiant. Finish and style with shea and cocoa butter rich Barber Balm complete with hemp seed oil and rosemary essential oil to promote lustrous, healthy hair. Shop on the Honeystreet Handmade website and enjoy UK delivery for just £1.99. Please note, some products contain beeswax so vegans, please read the product info. In their words: Genni Oil has created a new and unique range of bespoke infused coconut oils sourced in the Caribbean for use in Culinary, health, beauty and wellbeing. For each bottle of Genni Oil, we select and source the finest organic ingredients. The whole process begins with the selecting, maturing and blending of our ingredients and oils over a period of time to bring you an outstanding quality product. Produced by hand from nut to bottle. Our unique range of coconut oil infusions have a wealth of benefits and uses for the whole family. Did you ever wonder if coconut oil could get any better? Then laugh it off as some crazy thought that of course couldn’t be possible. I mean, it is natures finest all purpose wellness and beauty product AND an amazing kitchen staple. What if that perfect, Fairtrade, organic, raw and cold-pressed coconut oil was infused with orange peel and lemon and lime zest? What if you could get all the beautiful benefits of rubbing coconut oil into your skin but with the beautiful, gentle scent of rose or being sent off to sleep with the scent of floral lavender? Sound too good be true? It is true, and you can even win some for yourself to try. Genni Oils creates botanically infused coconut oils, handmade and bespoke using the finest Caribbean coconuts and 100% natural fusion ingredients. Possibly the best thing about the Fusions is the way the scent is infused into the oil. No artificial flavourings or essences in sight. The real ingredients impart their fragrance into the oils, real lemon and lime zest, real flower petals and even real banana peel. Honestly, you will want to eat them with a spoon – and why not? The range includes beauty must-have classics like rose for anti-ageing and radiance, lavender for calm, relaxation, and well-being and tea tree for muscle ease, rejuvenation and an anti-bacterial aid for spots and acne. There are however a few delicious surprises; the banana fusion will leave you craving banoffee pie – seriously. It smells like pudding. And it will transport you to a tropical paradise whilst boosting your hair, skin and body with it’s intense antioxidants and nutrients. Banana peel has long been recognised as a great friend to the skin and many use the inside of the peel as a spot treatment. As this oil is infused with real banana peels, it has all the goodness of them plus the coconut oil. This is a truly superboosted skin product. Banana peel contains antihistamines which are used in many parts of the world to relieve mosquito bite itch and inflammation and so the Genni Banana Fusion is a great product to have on hand in the summer, especially when travelling to warm climates, to soothe insect bites. It also helps relieve other forms of itch, like the itchy and inflamed skin caused by psoriasis and eczema. The essential fatty acids contained in banana were even incorporated into a cream now on the market to treat dermatitis and psoriasis after the founder discovered the use of banana peels by Zulus to cure all manners of skin ailments. This oil however, contains ALL the benefits of the banana skins – potassium, sun protecting lutein and a whole host of essential fatty acids, vitamins, minerals and antioxidants. Other fabulous fusions include skin brightening, collagen boosting and nail strengthening Pineapple; indulgent and uplifting Orange, great for freshening hair in the dry weather and leaving you smelling like walking summer; zesty Lemon & Lime bursting with citrus is refreshing, promotes a smooth and radiant complexion and is ideal for mature or dry skin. Genni Oils are unique in that the oil is produced from Caribbean coconuts instead of Asian which dominate the market. The oil is created, prepared and finished completely by hand, from tree to jar using only the finest sourced ingredients then matured over a period of time giving you a superior, bespoke product. There are also culinary products to tickle your taste buds and make it easier to incorporate the goodness of coconut oil into your daily meals. Flavours include fiery Chilli, Rosemary & Thyme, Sea salt & Black pepper and Garlic. All of the Fusions can be taken internally and the fruity varieties would be particularly good in desserts and baking. Genni Oils is completely Fairtrade and supports a wide range of projects such as recycling manufacturing by-products to make arts and craft and donating 10% of profits to charities such as the WWF, RSPB and Trinity Hospice. The oils are available to buy online or by telephone, UK postage is £3.50 or Free for orders over £20. The Fusions are currently on offer at the amazing price of £6.95 for 50ml (usual price £8.50). The pure coconut oil is £4.99 for 50 ml (usual price £6.50) and £7.99 for 200ml. You can save even further in July with one of the following discount codes limited to the first 110 customers! The first 10 customers can receive a whopping 50% off beauty products using code BUNNY001 at checkout. The next 100 can get a great 25% off beauty products using code BUNNY002 at checkout. Or even better, win yourself 2 jars of randomly selected, delicious coconut oil Fusions! Enter below to win one of THREE sets of Two Fusions! In their words: Simply Skincare is a celebration of femininity and sensuality. Connoisseurs of natural, hand-crafted skincare products, we believe that skincare is much more than a daily ritual; it’s an escape into a world of celebrated femininity and the products we use should be an extension of our natural inner personality. Simply Skincare is a European based hand-crafted, organic and cruelty-free luxury skincare brand which has recently launched in the UK. The highlight of Simply Skincare is it’s passion for cruelty-free practices and ending animal testing. It is not only recognised by PETA’s Beauty Without Bunnies program, but it has it’s own initiative – ‘Beauty for Bunnies’ whereby they donate £1 from every product purchased (excluding lip products) to bunny charity, Dierenvangnet (literally: “Animal Rescue”) to support feeding and caring for rescued and abandoned bunnies. They’re dream is to open their own bunny shelter. It is so refreshing to see such love for precious rabbits who are so often overlooked by mainstream cat and dog rescue centres, but the rabbit in the shadows is so often mistreated, abandoned or worse. The values of this company are, of course, very fitting for Bunny Kitchen and my 8 strong herd of gorgeous buns are very fond of this! Simply skincare products are all hand-made in small batches using the freshest organic ingredients. Using only certified organic ingredients, Simply Skincare supports farmers who pursue ethical and environmentally friendly practices. The range includes pampering treats from head to toe. Whipped Body Butters and Body Serums in fun scents like Oooh La La (Japanese plum) and Exotic Love (sandalwood & vanilla) for complete body nourishment. The serums contain organic C02 extracted rosehip oil – organic C02 extracts being the purest and gentlest botanical extracts used in skincare. The Whipped Body Butters are incredibly light and fluffy, completely changing perceptions of heavy plant butters and oils. It absorbs into the skin without leaving that artificial greasiness that so often taints moisturisers. It gives long lasting moisture and a gentle glow. The luxurious facial scrubs begin the journey of pure delectable indulgence for your lovely face. Our faces are one of the most exposed parts of our bodies day in, day out. We absorb all kinds of pollutants in the air around us and are affected by the winds, humidity and temperature. We need to look after our facial skin and a weekly gentle scrub is a great way to rid of toxins, dead skin cells and oil and dirt build up, leaving your face radiant and glowing. Simply Skincare are strongly opposed to toxic, sea polluting, skin damaging microbeads and instead use gentle, natural exfoliation aids such as strawberry seeds. The Guilty Pleasures Facial Scrub is allergen-free and lathers into a rich and creamy, cocoa scented scrub. Gentle yet effective, it leaves the skin feeling clean but with ample moisture. Between scrubs, the Facial Cleanser will keep your skin refreshed and glowing and finished with a skin type specific Facial Serum, your skin will look and feel healthy and nourished. For true self-kindness, spoil yourself with spa relaxing or revitalising foot care including Foot Soak, Foot Rub and Foot Butter in two ranges. You can buy the sets of all three which would make a wonderful gift or a perfect treat for yourself. You can even design your own body butter, facial cleanser or scrub! A truly unique and bespoke service for those who want hand made, natural products but don’t have the time, confidence or desire to make their own. This is the service for you! It’s not cheap, coming in at a whopping £89.00 for a 250ml jar of Body Butter and £62.50 for a 60ml jar of Facial Cleanser or Scrub. But you can add exciting, unique scents and even glitter! A truly exciting service for the beauty product devotee with cash to spare. Simply Skincare products are available on their website with delivery from £6.00 or Free on orders over £45.00. They encourage ‘order pooling’ where you and your friends or family place all your items on one order to be delivered to one address and your products will be free if the order is over £45.00! This is great for the environment and a fun way to get together with the girls and choose your products. Worldwide delivery available from main EU site. Products range between £16.50 and £33.00. So there you have it, a selection of top beauty products that you can be proud to buy, use and companies to be proud to support. I’d love to know what you think and your top vegan beauty brands and tips! 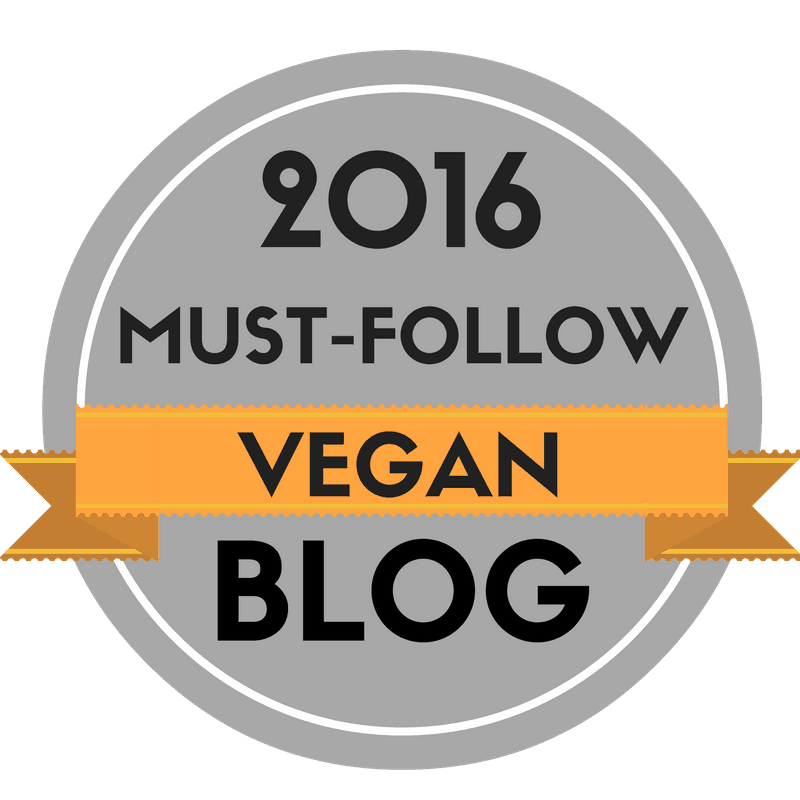 This entry was posted in vegan and tagged beauty, Blog, blogger, body care, fairtrade, giveaway, health, healthy, makeup, organic, review, skincare, vegan. Bookmark the permalink. 41 Responses to Amazing Vegan, Organic, Fairtrade Beauty Product Review PLUS Massive Giveaway and Offers! I like to keep a mini pot of organic coconut oil in my bag. Perfect for dealing with dry skin, chapped lips, and for giving my hair an instant shine. My favourite use for coconut oil has to be toothpaste. So simple and effective. My beauty handbag essential is lip balm, I can’t have dry lips. I use coconut oil for cooking, moisturizing, deodorant, I can’t pick a favorite use. I love cooking with coconut oil, a little seems to go a long way. I always rub some on my lips whilst I’m cooking too as it is a great moisturiser! I always have lip balm and hand lotion in my purse! My favorite use for coconut oil changes because in the winter I use it a lot for my skin but in summer I tend to use it more in recipes. I always keep lotion in my handbag. I have never used coconut oil so I have no favorite. I always need a good lip balm in my bag! Oops, are these contests only open to the UK? If so I need to delete my entries! The lip balms are US only, coconut oil is UK only. I’ve not used coconut oil before but it sounds useful. I always have wipes in my handbag (small child in tow) and hand cream. Favourite use for coconut oil is as a hair mask. It’s amazing for dry hair. My handbag beauty essential is concealer. I add a little to French Dressing but haven’t been adventurous enough to try it for anything else just yet. My beauty handbag essential is a lip balm. Wow these products look ace. My beauty handbag essential is a hipflask of gin. After a few sips of that bad boy I’m gorgeous. As a fan of earth-friendly beauty products, these were definitely a great read and I hope to add to my beauty closet. Thanks for the images, they sure do help for product reference. Please, could you send me the website link as I live in South Africa? Hi Greta. Glad you found this helpful! Which website link would you like?